At Simply Workwear we cover the entire Range of Corporate Wear Solutions. A Companies Corporate Identity is a crucial aspect in terms of a Professional Look. It is simple to get that Professional look as well as getting your Companies name out there by simply Branding Your Corporate Clothing. We supply an extensive Range of Corporate Clothing, Uniforms & Formal Wear to Suit Your Companies Professional & Brand Identity. We supply Well Known Brands such as : Barron Clothing, Altitude Liesure Wear, Proactive Clothing, Corporate Uniforms, Einstein T-Shirts, Rolando Clothing , Renzo Clothing, QuaterMaster Suits & Clothing. 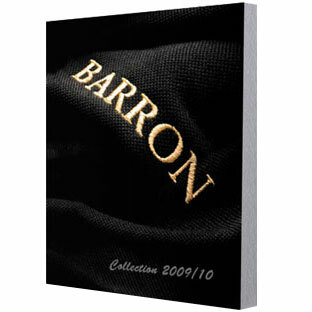 The BARRON Clothing Collection Features The Widest Range, Which includes T-Shirts, Golf Shirts, Lounge Shirts, Leisure Wear, Sweaters, Fleece, Jackets, Trousers, Kiddies, Hospitality, Workwear, Safety & Head Wear. 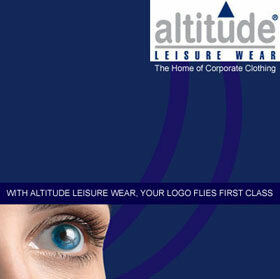 Altitude Leisure Wear is one of the Largest Suppliers of Corporate & Promotional Wear Today. The Altitude Leisure Wear Brand has been Established since 1990. The Home Of Corporate Clothing ! Pro Active Clothing offer a selected range of premium brands each with their own marketable personalities. Some of the Brands : TUFF IT, OAKHURST, MACJACK, 1st LADY, HIGHLAND BROOK.Quality at Affordable Pricing ! Rolando Platinum range offers an Exclusive Range of Corporate Wear Solutions. Covering MensWear & LadiesWear. From Formal Lounge Shirts to Winter Jackets, Trousers, Golf Shirts, Jeans Much More. The Renzo Clothing Collection offers a Stylish, Sophisticated, Classy & Elangant Look. Ranging from Woven Shirts to Fleece Jackets, Chinos, Jackets, Golfers & T-shirts. This Range Covers it all. WE SUPPLY ALTITUDE LEISURE WEAR KINDLY CONTACT US VIEW THE CATALOGUE.